Whiplash isn’t anything you should have to live with. When an automobile accident occurs -- no matter how severe -- it’s likely that your head will forcefully bounce back and forth. This “whipping” of your neck can leave you in severe pain, even if you don’t feel it right away. Whiplash isn’t just limited to car accidents either. The injury can stem from a sports accident, slip and fall, or other trauma. 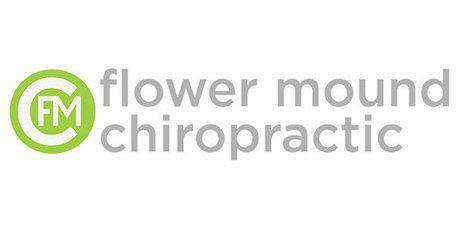 If you suspect you have whiplash, Dr. Ponomarenko and his team at Flower Mound Chiropractic in Flower Mound, Texas, can get you treated with flexible same-day appointments. I don’t feel sore. Could I still have whiplash after my automobile accident? Yes. If you're in an unfortunate car accident, you could walk away feeling unharmed. But even though you might feel fine the day of your accident, you’ll probably feel pain the next day or even a couple days later. Whiplash injuries take as many as 24 hours -- sometimes longer -- to surface. This is why it’s so important to visit Dr. Ponomarenko and his chiropractic care team as soon as possible after your vehicle accident. Your body is likely still in shock after the ordeal, and you need a head-to-toe evaluation to ensure that any underlying injuries are treated from the get-go. This way you can help to prevent any permanent injuries from occurring. My car isn’t damaged -- I should be fine. Should I still see a chiropractor? Yes. Even minor fender benders sometimes leave people with whiplash injuries. Because whiplash is a hidden problem, even if you feel fine, you should still undergo a chiropractic evaluation to rule it out -- or get treatment for it, if need be. When whiplash occurs, often vertebrae in the upper portion of your spine -- in your neck -- get knocked out of place. Chiropractic care is essential to manipulate those joints back into place. Several manipulations over the course of a few visits should improve your pain levels. But one of the perks of visiting Dr. Ponomarenko and his caring team is that you aren’t limited to just chiropractic adjustments. Dr. Ponomarenko works with a team of massage therapists, who are experienced in aiding in the healing of soft tissue in your neck. Plus, Dr. Ponomarenko can set you up with an exercise and stretching plan to do at home, so you can get back to feeling like yourself in no time.